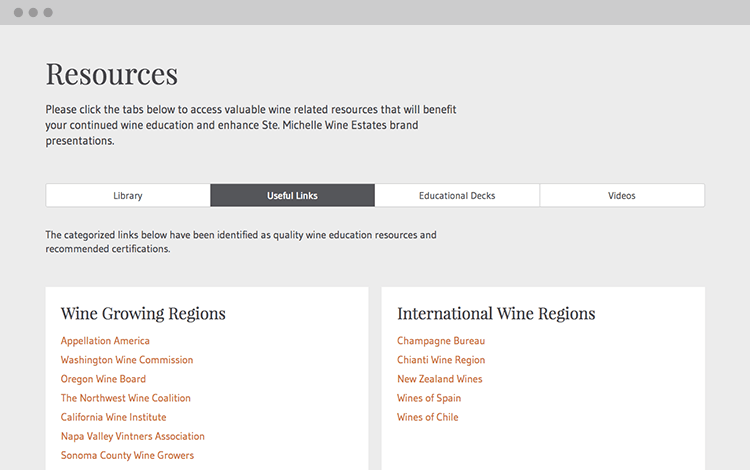 When you’re an extraordinary winemaker, an ordinary off-the-shelf eLearning tool won’t do. Ste. 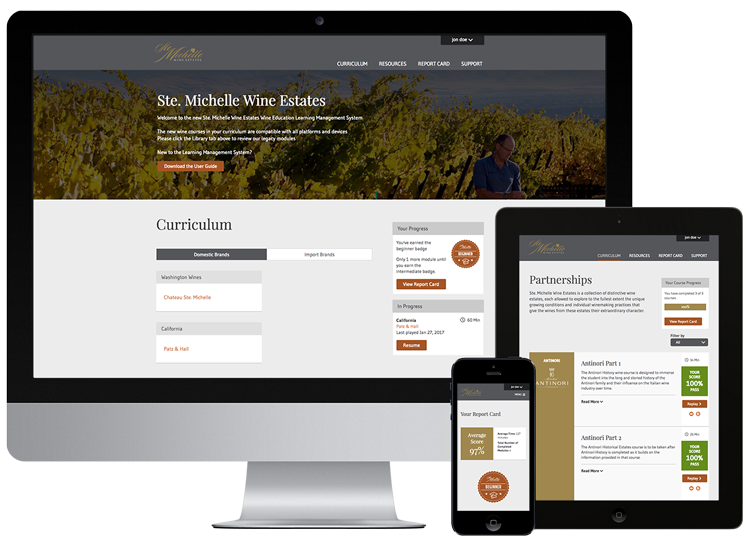 Michelle Wine Estates wanted to build an industry-leading eLearning Management System to house, track and manage their business education content. They sought complex features, robust functionality and an elegant user interface – the very things Daylight does best. Ste. 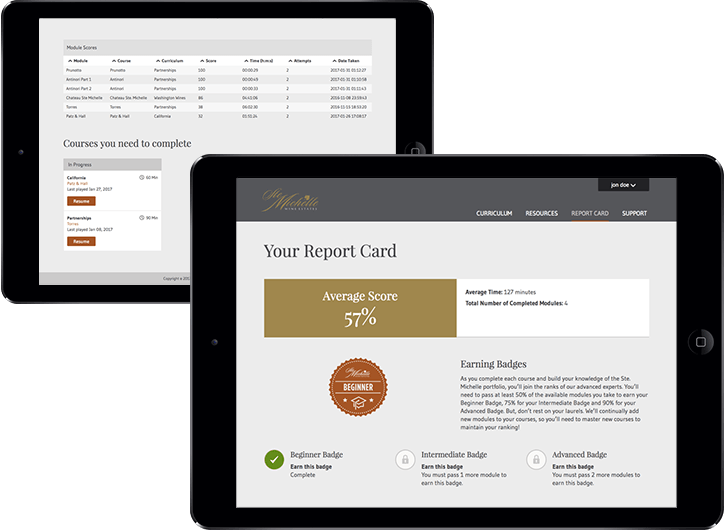 Michelle Wine Estates’ Learning Management System (LMS) is where distributors and salespeople go to learn about the Ste. Michelle family of brands they’ll represent. It’s a critical business tool, but their existing antiquated off-the-shelf solution was holding them back. Daylight coached Ste. Michelle through their options and keen for content ownership and flexibility, they chose a fully custom LMS. Daylight’s design, frontend and backend development teams quickly got to work planning for the server structure and creating style guides and pattern libraries. While interviewing stakeholders to establish core features, Daylight uncovered the business’ growing pains and expanded the functionality to solve them. To manage curriculum better, we devised a tiered data structure of modules within courses within types of curricula. 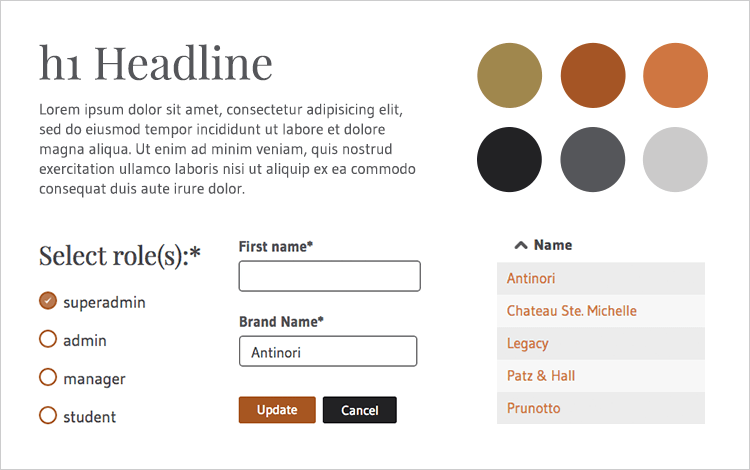 A “brands” tag enables quick navigation for students. The next challenge was managing users and user permissions. 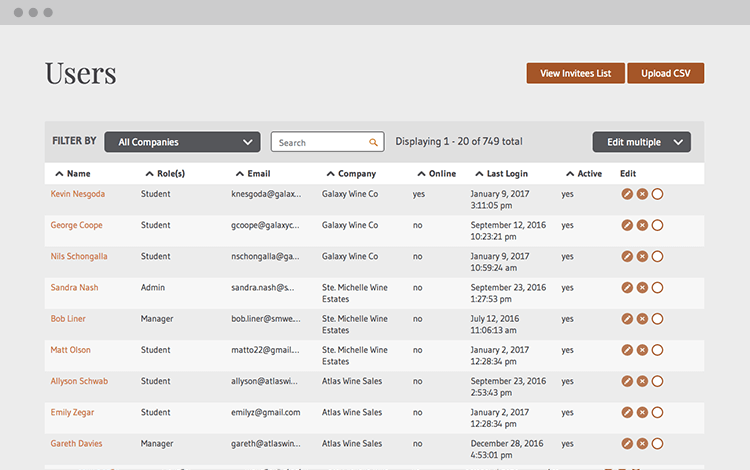 We built an email invite tool to add new users to the system, plus a mass upload feature for setting up large groups of users with just a few clicks. The user-friendly system gives students a clear, comprehensive experience. On the homepage, progress reports alert students to what’s next and how long the course will take. Prerequisites guide students through the necessary courses for their role and a report card outlines their scores and completion levels. If students have questions, they can head to the FAQs or email support. This high level of functionality and visual appeal reinforces Ste. Michelle’s leadership with every new user. Another advantage of a custom build is to create a better business information hub. We added a Resources section, so Ste. 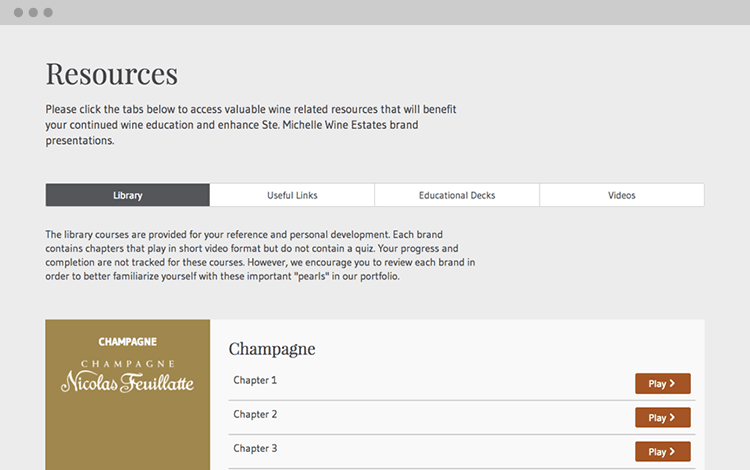 Michelle could house and manage their own library of additional content to enhance students’ wine education. Extra courses, useful website links, videos and presentation decks are organized into groups for quick access. The simple navigation makes browsing content a breeze. Within a compressed timeline, we successfully launched the system on time and on budget. From visual aesthetics to user experience, the product quality far outweighs any packaged solution on the market. Plus, it gives Ste. Michelle complete ownership and control over their content and user management – an asset for any big, established business. Today, the LMS is a point of pride for the brand, where they proudly send distributors, sales reps and staff to learn about their wine business.